Zagreb to Budapest Christmas Market [2019 / 2020] Book Today! Zagreb, the Croatian capital city, was voted the best Christmas market destination in Europe three times in a row. A home to interesting museums, historic Upper Town and chic squares, Zagreb is popular among younger and older generations alike. Visit Zagreb in winter, enjoy the Christmas market, local cuisine and mulled wine. Have fun ice-skating, walking the glittering Zagreb tunnels or listening to Christmas concerts at several locations in the city centre. 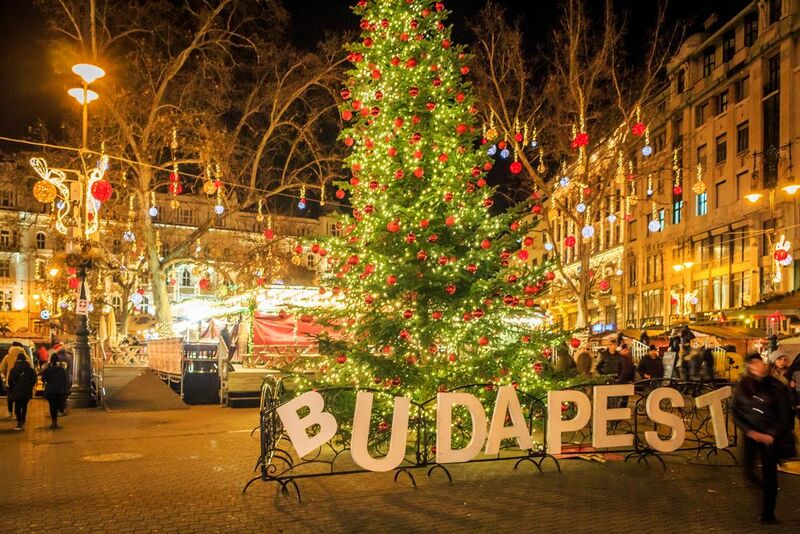 This Christmas adventure takes you to another exciting capital – the royal city of Budapest in neighbouring Hungary. A comfortable private transfer from Zagreb to Budapest is included, along with informative and fun private guided walks of both cities. Stroll the streets of Budapest Upper and Lower Town, have fun tasting local food and mulled wine around the Vorosmarty Square and St Stephen’s Basilica. Make sure to bring warm clothes and lots of Christmas joy with you! Your magical holiday adventure is only a few clicks away. Our driver will be waiting for you at the airport and drive you to your hotel in Zagreb centre. 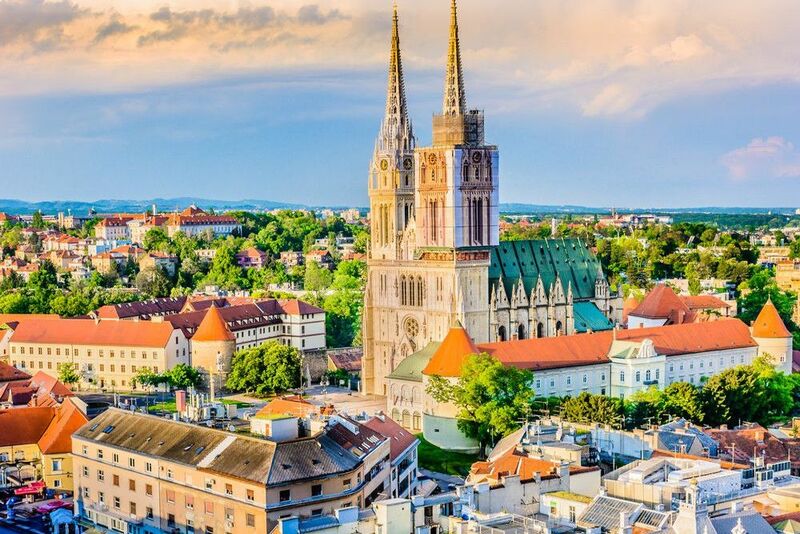 3-night stay in Zagreb centre. Today, we’ll organise a private guided tour of Zagreb for you. Have fun ice-skating or walk the newly-opened tunnel in Zagreb centre, decorated with Christmas lights and 3D installations. Our driver will pick you up from your hotel in Zagreb and drive you to Budapest, the capital of Hungary. Arrival in Budapest & arrival at your hotel. Check-in and free time in Budapest. 2-night stay in Budapest centre. Today, we’ll arrange a guided tour of Budapest for you. Set by the Danube River and consisting of the grand Buda situated on a hill and chic downtown Pest, Budapest is probably one of the most exciting capital cities in this part of Europe. Cross the Chain Bridge and drive to Buda. Explore the historic Castle District, the St Matthias Church and the spectacular Fishermen’s Bastion. Enjoy the fantastic view of Budapest from the Citadel. After Buda, head to Pest over the Elisabeth Bridge, boasting the spectacular Hungarian Parliament Building, the largest Synagogue in Europe, the Heroes’ Square and St Stephen’s Basilica. Free afternoon to explore Budapest. Our driver will pick you up from your hotel and drive you to Budapest Airport for your trip home.